Last Friday Night saw the first Wine Appreciation Night held at the Club, a large turn out of members and non-members got to sample the excellent wine and gain some expert guidance from local wine maker Paul. Big thanks to Amadio Wines for supporting the event and we look forward to the opportunity to sample more of their wines through other events and over the bar. Thank You to Andrew Spencer for organising the event and Me for the Cheese Platters. Menu includes Hamburgers, Sausages, Chicken and Lamb Skewers accompanied by Bread or Rolls, and Salad. Soft Drinks and Water will be available for purchase. There will be a few special awards given at the start and then each Age Group will take turns to present their participation medals, Club Champion, Runner Up and Coaches awards. All nippers and their parents are invited to take part in the traditional end of season shaving cream fight on the beach. Bring your swimmers or wetsuit to change in to as it can get messy. **** We have been made aware of the potential environmental impact **** on our marine friends with this product and will, next year, look to becoming more environmentally friendly, maybe whipped cream??? Stick around and have an end of season drink with us and enjoy the fantastic view from the balcony. Nibbles will be provided. Join us at the Club on Friday April 12th for a night of fine wine and delicious cheese platters. Sample the tastes of Amadio Wines from 7pm. Cost is $10 per person and there will be a Mystery Wine Competition too. Head to the Club for a night of pleasing your taste senses! You might even bump into a friend or two!! Join us at the Club on April 12th for a night of fine wine and delicious cheese platters. All in all Semaphore Nippers had a pretty successful Junior States Championships. We congratulate all our competitors and their families. Forgive me as I realised that we failed to explain all the levels of competition in Surf Life Saving earlier in the season. As you know there are both individual and team events within each age group however there is also a competition at club level. Every Individual and Team that finishes in the top six of every event are assigned points. These points are collected at a club level and define the Club Pennant winner for the season. 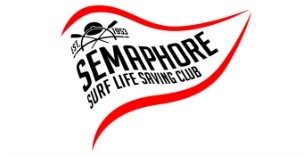 This year Semaphore SLSC finished 5th in the club competition. Official results are shown below. In addition here is a full listing of the results of all Jnr Champ events for your review. On presentation day we will have a full photo presentation during lunch and the trophy Presentations that will continue in to the afternoon. Below is a very small sample of the photos taken over the two days. Extra Special Thank you to Jane Short and Emily Barresi for assisting with taking photos this year. Includes Lunch and Presentations of our SLSSA Male and Female Nipper of the year nominees, our Jnr Participation Medals and each Age Groups Male and Female Champions and Runner Ups as well as a Coaches award.